For as long as computers have been around, and all the recent talk of algorithms and robots supplanting humanity not just in the workplace but possibly in its entirety, there are still businesses where much of the work is done manually. A recent trip to the family medical practice offered a case in point. There were rows of files from floor to ceiling, full of bulging manila folders. Employees hurried back and forth and up and down, rifling through reams of paperwork in search of patient records. In the waiting area, new patients filled out their medical histories on clipboards, to be manually input later. This is just one example of the ways in which manual tasks still permeate modern work life. And as this example shows, the situation isn't always black-and-white, i.e., all manual or all automated. It's very often a mix. The world of regulatory compliance is not immune to this kind of technological backwardness. Plenty of enterprise financial institutions aren't operating with the safety and efficiency they otherwise could be. If you're not certain where your firm stands in this technological firmament, and whether or not you need to fully automate your compliance process, here are eight signs that might offer some insight. As your business has grown, your compliance team has gotten not just noticeably more busy but also noticeably more frazzled. You're losing people on a more frequent basis. You're fielding more and more personnel complaints from compliance officers, the team, and human resources. 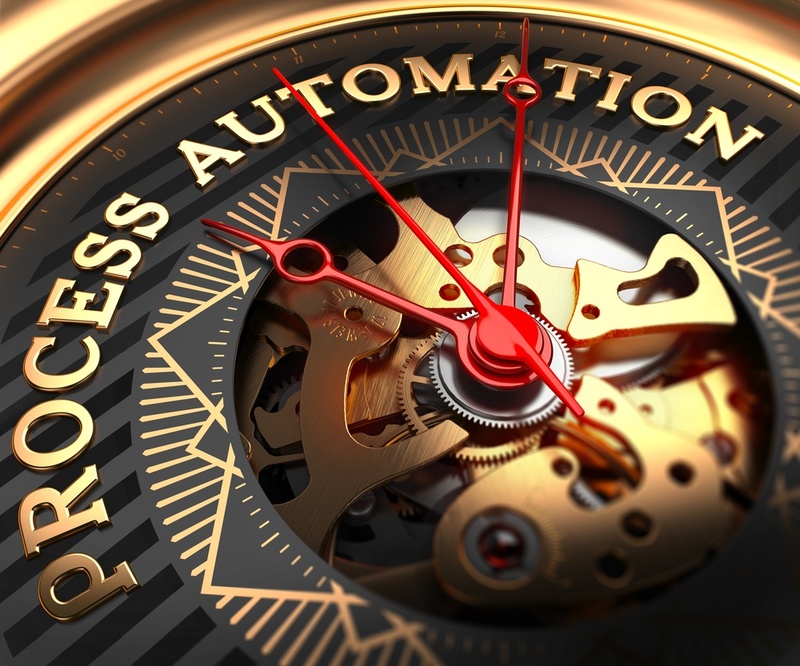 On the process side, you're devolving from whatever processes you've managed to automate back to manual because your existing system doesn't have the capability to keep up with changes in regulation and the marketplace. Maybe you're also losing track of all the attestations your employees are required to have in place. And end user adoption has been a challenge, too. Clunky old interfaces will do that. If any of this sounds familiar, the compliance process you have in place, whether all manual or a mix, is likely no longer up to the job. No matter how automated your system, to some degree monitoring and investigating will always be a manual process. But that process will be significantly enhanced by the technological leverage a modern compliance platform brings to the table. It will provide the data, analytics, background history, and reporting capabilities needed to maintain a 360-degree view of pertinent firm and employee activity. Even if your compliance team members aren't physically rifling through files, maybe they're virtually rifling through unintegrated computer and data systems trying to do their jobs. In either case, there's a better way. The point of compliance software is to make detecting compliance issues as automated and therefore as easy as possible. Without such software, just identifying questionable activity can be a challenge. Properly integrated into all your other existing firm systems, a good compliance platform catches potential problems in the earliest possible stages. It will also provide you the kinds of tools and data that will aid in researching questionable activity, allowing you to escalate or close cases quickly instead of spending hours or days on a single individual's activity. Identifying potential issues may never rise to the level of easy, but it doesn't have to be as difficult as it may be now. Personal trading. Gifts and entertainment. Outside activity. Political contributions. Insider trading. Potential infractions come in all shapes and sizes, but these are the five that any enterprise financial institution should be most concerned about. A good compliance platform should be a one-stop-shop for all your conflict of interest and market abuse needs. It should be well integrated into other existing firm systems. This means employees will only ever have to log in to a single system, thus reducing compliance fatigue and boosting overall participation. It will also give the compliance team a single, centralized view. Is whatever mix of automated and manual systems now in place hitting all five areas of concern? Do the compliance capabilities just mentioned sound like something out of a dream? A fully automated, modern compliance platform can make that dream a reality. If your enterprise financial firm operates globally, across economic-cooperation zones, or even just across national borders, you need a compliance system that can handle very unique situations. These may include employees in different jurisdictions and regions, subject to different regulatory requirements, and a need to support multiple currencies, time zones, and languages. Or a large number of employees who need to be monitored by a geographically dispersed compliance team. Or an organization that's evolved multiple business lines through acquisitions or specializations. A fully integrated compliance platform will go a long way toward solving these highly localized problems that global firms face. Employees can be organized into groups, with discrete configurations applied to each, including for rules, reviews, certifications, and workflows. Regional compliance officers will see only the data for the employees they monitor, and users only see the functions relevant to them. And the compliance team will enjoy a comprehensive view with consolidated reporting. Thinking, sleuthing human beings will always be at the heart of the compliance process, but in this day and age they shouldn't be manually inputting data except when otherwise unavoidable. There's no reason an enterprise financial institution would ever want to get data into its systems from a third party by anything but automated feed. Feeds mean far greater speed and far less chance of error. But even internally, anything that can cut down on the manual inputting of data by employees is key to greater efficiency and safer overall operation. A fully automated compliance platform means total integration with all other company systems, including HR and CRM systems, expense systems, order and firm-trading systems, research systems, and broker-dealer systems. A compliance platform supplied by an experienced vendor also has in-place relationships with data providers of all kinds, set up on feeds to get it to you quickly and accurately, with everything seamlessly integrated into your compliance platform. This data can include security masters, hard-to-come-by broker feeds, market research data, and political data. Fingers can fumble. And they're slow anyway. And while feeds need to be monitored, the net effect of automation will always be in your favor. You'll have no trouble remembering if this has ever been an issue: auditors arrive and expect you to be able to produce records and documentation very quickly, if not on-demand. Were you able to do so, and make it successfully through the audit? Were you able to prove the company did everything possible to prevent a situation from occurring? Proper data storage and ease of recall is something regulators get picky about. It doesn't take much imagination to see this scenario would have been far less stressful with a fully integrated and fully automated compliance system in place. This is another sign you'll likely have no trouble recollecting, and could be the clarion call for change you never wanted to hear. Every issue mentioned so far could cause a lot of trouble for a firm. Trouble for the firm means trouble for compliance, whose job it is to protect the firm's good name. Automation means efficiency. Efficiency means integrating and synthesizing as much functionality as possible into a single-view, centralized system that employees of every level can and want to use, and that gives compliance teams a comprehensive view. A fully automated, fully integrated solution also allows the kind of high-level reporting capability that will keep upper management up-to-date and happy, as well as keep the compliance team out of hot water. It should be stressed that compliance-system automation doesn't mean letting people go, or depending less on their expertise. On the contrary, freeing team members from the kinds of repetitive tasks that drain time and mental energy means they can focus on higher-value compliance activities, such as policy creation, employee training, regulation review, and forming future compliance strategy. Automation is a win for everyone. Compliance teams will always need to put the puzzle together, but a good platform will provide the pieces. Until the killer robots arrive, automation of this sort should be not just welcomed but actively sought out. Thinking of partnering with a vendor for a compliance solution? Download our free buyer's checklist now and don't miss a thing.